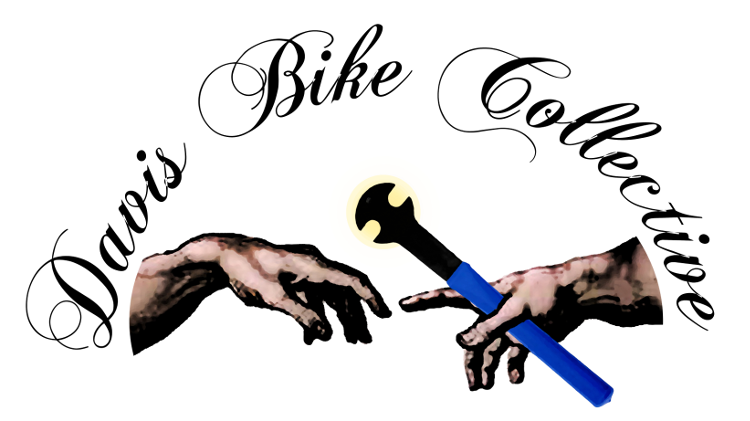 The bylaws of the Davis Bike Collective were adopted on September 19, 2010. The text is copied below. A PDF of the document is also available. The name of this corporation is The Davis Bike Collective (the “Corporation”). The principal office of the corporation for the transaction of its business is and shall be located in Yolo County, California. The Ministry may at any time establish branch or subordinate offices at any place or places where the Corporation is qualified to transact business. The Corporation is a nonprofit public benefit corporation and is not organized for the private gain of any person. It is organized under the Nonprofit Corporation Law of California (“California Nonprofit Corporation Law”) for educational purposes. (3) create a space to promote sustainable practices including recycling, maintenance and repair. The Corporation has been formed under California Nonprofit Corporation Law for the charitable purposes described in Article 3, and it shall be nonprofit and nonpartisan. No substantial part of the activities of the Corporation shall consist of carrying on propaganda, or otherwise attempting to influence legislation, and the Corporation shall not participate in or intervene in any political campaign (including the publishing or distribution of statements) on behalf of, or in opposition to, any candidate for public office. The Corporation shall not, except in any insubstantial degree, engage in any activities or exercise any powers that are not in furtherance of the purposes described in Article 3. The Corporation may not carry on any activity for the profit of its Officers, Directors or other persons or distribute any gains, profits or dividends to its Officers, Directors or other persons as such. Furthermore, nothing in Article 3 shall be construed as allowing the Corporation to engage in any activity not permitted to be carried on (1) by a corporation exempt from federal income tax under section 501(c)(3) of the Internal Revenue Code of 1986, as amended (the “Code”) or (2) by a corporation, contributions to which are deductible under section 170(c)(2) of the Code. The property of the Corporation is irrevocably dedicated to the purposes put forth in the Articles of Incorporation of the Corporation. No part of the net income or assets of the Corporation shall ever inure to the benefit of any of its Directors or Officers, or to the benefit of any private person, except that the Corporation is authorized and empowered to pay reasonable compensation for services rendered and to make payments and distributions in furtherance of the purposes set forth in Article 3 hereof. Upon the dissolution or winding up of the Corporation, its assets remaining after payment, or provision for payment, of all debts and liabilities of the Corporation shall be distributed to a nonprofit fund, foundation, or corporation which is organized and operated exclusively for educational purposes and which has established its tax exempt status under Section 501(c)(3) of the Code. After lapsing to inactive non-voting status a person may be reinstated as a Minister by consensus of the Ministry. A person’s voting privileges may be revoked by consensus of the Ministry. See also: Section 7.4.2, regarding removal of a Minister. The Corporation shall conduct business by consensus, where “Consensus” is defined as unanimous agreement of the Ministry present and voting on such matters, notwithstanding abstaining votes. For any decision that is stalled by opposition of a minority of the Ministry, a committee chaired by those in opposition shall be charged with the responsibility of assessing the conflict and developing an alternative course of action that better serves the mission of the Corporation. If this is not done within a reasonable time, a two-thirds majority vote of the Ministry shall decide the appropriate course of action. The authorized number of Directors of the Corporation (“Directors”) shall be three. The number may be changed by amendment of this bylaw, or by repeal of this bylaw and adoption of a new bylaw, as provided in these bylaws, provided that such amendment or adoption does not conflict with Section 212(a) of the California Corporations Code, governing the required number of Directors, or such other provision or provisions of law in effect at the time of the amendment or adoption. In order to be eligible to be a Director, a person must be a Minister as defined in Section 6.1 of these bylaws. Subject to the provisions of the Articles of Incorporation of the Corporation (the “Articles of Incorporation”), California Nonprofit Corporation Law and any other applicable laws, the business and affairs of the Corporation shall be managed, and all corporate powers shall be exercised, by or under the Board of Directors (“The Board”), which shall take its direction from the Ministry. The Ministry may delegate the management of the activities of the Corporation to any person or persons, management company or committee however composed, provided that the activities and affairs of the Corporation shall be managed and all corporate powers shall be exercised under the ultimate direction of the Board, as required by Section 5210 of the California Corporations Code. Any actions taken or powers exercised by the Board on behalf of the Corporation must be ratified and approved by a consensus vote of the Ministry. One Director shall be elected at each a semi-annual meeting of the members for eighteen-month terms. Each Director, including a Director elected to fill a vacancy, shall hold office until the expiration of the term for which he or she was elected and until the election and qualification of a successor, or until that Director’s earlier resignation or removal in accordance with these Bylaws and the California Nonprofit Corporation Law. The terms will be staggered such that one Director will be elected at each semi-annual meeting. A vacancy or vacancies on the Board shall be deemed to exist on the occurrence of the following: (1) the death, resignation, or removal of any Director; (2) whenever the number of authorized Directors is increased; or (3) the failure of the Ministry, at any meeting at which any Director or Directors are to be elected, to elect the full authorized number of Directors. The Ministry may by resolution declare vacant the office of a Director who has been declared of unsound mind by an order of court or convicted of a felony, or been found by final order or judgment of any court to have breached a duty under the California Nonprofit Corporation Law. Directors may be removed from the position without cause by a consensus vote of the Ministry, excepting the Director to be removed (who may not vote). Except as provided in this Section 7.4.4, any Director may resign by giving written notice to the Ministry. Such a written resignation will be effective on the later of (1) the date it is delivered or (2) the time specified in the written notice that the resignation is to become effective. No Director may resign if the Corporation would then be left without a duly elected Director or Directors in charge of its affairs, except upon notice to the California Attorney General (the “Attorney General”). If there is a vacancy on the Board, including a vacancy created by the removal or resignation of a Director, the Ministry may fill such vacancy by electing an additional Director as soon as practicable after the vacancy occurs. If the number of Directors then in office is less than a quorum, additional directors may be elected to fill such vacancies by consensus of the Ministry at a meeting held according to notice or written consents complying with section 5211 of the California Nonprofit Corporation Law. Every six months, the Ministry shall hold at least one meeting, at a time and place fixed by the Ministry, for the purposes of election of Directors, appointment of Officers, review and approval of the corporate budget and transaction of other business. This meeting is sometimes referred to in these Bylaws as the “Semi-annual Meeting.” Other regular meetings of the Ministry may be held at such time and place as the Ministry may fix from time to time by resolution. Special meetings of the Ministry for any purpose may be called at any time by any Minister, as provided in Section 7.7 on the Notice of Meetings. (4) Facsimile, electronic mail (“e-mail”), notice on the website, or other means of electronic transmission if the recipient has consented to accept notices in this manner. All such notices shall be given or sent to the Minister’s address, phone number, facsimile number or e-mail address as shown on the records of the Corporation. Any oral notice given personally or by telephone may be communicated directly to the Minister or to a person who would reasonably be expected to promptly communicate such notice to the Minister. Notice of regular meetings may be given in the form of a calendar or schedule that sets forth the date, time and place of more than one regular meeting. The notice shall state the time and place for the meeting, except that if the meeting is scheduled to be held at the principal office of the Corporation, the notice shall be valid even if no place is specified. The notice need not specify the purpose of the meeting unless required to elsewhere in these Bylaws or by the California Nonprofit Corporation Law. Regular and special meetings of the Ministers may be held at any place within or outside the state that has been designated in the notice of the meeting, or, if not stated in the notice or, if there is no notice, designated by resolution of the Ministers. If the place of a regular or special meeting is not designated in the notice or fixed by a resolution of the Ministers, it shall be held at the principal office of the Corporation. Any meeting may be held by conference telephone or other communications equipment permitted by California Nonprofit Corporation Law, as long as all Ministers participating in the meeting can hear and communicate with one another and all other requirements of California Nonprofit Corporation Law are satisfied. All such Ministers shall be deemed to be present in person at such meeting. At least three Ministers shall constitute a quorum for the transaction of business, except to adjourn as provided in Section 7.11. Every act taken or decision made by an consensus vote of the Ministers present at a meeting duly held at which a quorum is present shall be deemed to be an act of the Board, unless a greater number is expressly required by California Nonprofit Corporation Law, the Articles of Incorporation or these Bylaws. A meeting at which a quorum is initially present may not continue to transact business if attendance drops below quorum, notwithstanding the withdrawal of Directors from the meeting. (1) Approval of contracts or transactions in which a Minister has a direct or indirect material financial interest as described in Section 9.1 (provided that the vote of any interested Minister(s) is not counted). (3) Indemnification of Directors as described in Article 10. The transactions of any meeting of the Ministry, however called and noticed or wherever held, shall be as valid as though taken at a meeting duly held after regular call and notice, if (1) a quorum is present, and (2) either before or after the meeting, each of the Ministers who is not present at the meeting signs a written waiver of notice, consents to holding the meeting, or approves the minutes. The waiver of notice or consent does not need to specify the purpose of the meeting. All waivers, consents, and approvals shall be filed with the corporate records or made a part of the minutes of the meeting. A consensus vote of the Ministers present, whether or not constituting a quorum, may adjourn any meeting to another time and place. Notice of the time and place of continuing an adjourned meeting need not be given, unless the meeting is adjourned for more than 24 hours, in which case personal notice of the time and place pursuant to Section 7.7 of these Bylaws shall be given before the time of the adjourned meeting to the Ministers who were not present at the time of the adjournment. Meetings of the Ministers shall be presided over by a chairperson of the meeting, chosen by a consensus of the Ministers present at the meeting. The Secretary, or an appointed Minister, shall act as secretary of all meetings of the Ministry. Meetings shall be governed by rules of procedure as may be determined by the Board from time to time, insofar as such rules are not inconsistent with or in conflict with these Bylaws, with the Articles, or with any provisions of law applicable to the Corporation. Any action required or permitted to be taken by the Ministers may be taken without a meeting, if three Ministers consent to the action in writing or verbally. For the purposes of this Section 7.14 only, “all Ministers” shall not include any interested Director” as defined in section 5233 of the California Nonprofit Corporation Law. Such consent shall have the same force and effect as a consensus vote of the Ministers taken at a meeting as long as notice is given to the Ministry and the Ministry ratifies the action by consensus. The Corporation shall not pay any compensation to Ministers for services rendered to the Corporation as Ministers, except that Ministers may be reimbursed for expenses incurred in the performance of their duties to the Corporation, in reasonable amounts as approved by the Ministry. Also, Ministers may not be compensated for rendering services to the Corporation in a capacity other than as Ministers, unless such compensation is reasonable and approved by the Ministry. The Ministry and the Board shall not be personally liable for the debts, liabilities, or other obligations of the Corporation. The officers of the Corporation (“Officers”) shall include: (1) a President, (2) Secretary, and a (3) Treasurer. These persons shall be selected from the Ministry. Only one office may be held by the same person. The Officers shall be elected by the Ministry at the semi-annual meeting of the Corporation for a term of 18 months, and each shall serve at the discretion of the Ministry until his or her successor shall be elected, or his or her earlier resignation or removal. Officers may be elected for a maximum of two consecutive terms with the ability to be re-elected after a change in position of the particular office. Subject to the rights, if any, of an Officer under any contract of employment, any Officer may be removed, with or without cause by a consensus vote of the Ministry, at any regular or special meeting of the Ministry, or at the semi-annual meeting of the Corporation. A vacancy in any office because of death, resignation, removal, disqualification, or any other cause shall be filled in the manner prescribed in these Bylaws for regular appointments to that office, provided that such vacancies shall be filled as they occur and not on a semi-annual basis. In the event of a vacancy, a new officer shall be elected at a special meeting held within ten days or at the next regular meeting, whichever comes first. The President (the “President”) shall be a member of the Board of Directors and shall be responsible for making sure there is a volunteer Minister or volunteer Ministers to preside over and to take notes at each meeting. This minister or these ministers will be known as the meeting facilitator(s) and the note-taker, respectively. The facilitator(s) may be any Minister, including the officers. The Secretary shall keep or cause to be kept a minute book as described in Section 11.1. Upon request, the Secretary shall exhibit or cause to be exhibited at all reasonable times to any Minister, or to his or her agent or attorney, these Bylaws and the minute book. The Treasurer shall keep and maintain, or cause to be kept and maintained, adequate and correct books and records of accounts of the properties and transactions of the Corporation, including accounts of its assets, liabilities, receipts, disbursements, gains, losses, capital, retained earnings, and other matters customarily included in financial statements. The books of account shall be open to inspection by any Minister or their agent at all reasonable times. The Treasurer shall deposit, or cause to be deposited, all money and other valuables in the name and to the credit of the Corporation with such depositories as may be designated by the Ministry; shall disburse, or cause to be disbursed, the funds of the Corporation as may be ordered by the Ministry; shall render, or cause to be rendered to Ministry, whenever they request it, an account of all of his or her transactions as Treasurer and of the financial condition of the Corporation; and shall have other powers and perform such other duties incident to the office of Treasurer as may be prescribed by the Ministry or these Bylaws. If required by the Board, the Treasurer shall give the Corporation a bond in the amount and with the surety or sureties specified by the Board for faithful performance of the duties of his or her office and for restoration to the Corporation of all its books, papers, vouchers, money, and other property of every kind in his possession or under his or her control on his or her death, resignation, retirement, or removal from office. (2) with any corporation, firm, association, or other entity in which one of more Ministers has a material financial interest. (5) the minutes of the meeting at which such action was taken reflect that the Ministry considered and made the findings described in paragraphs (1) through (4) of this Section 9.1.2. (2) where the interested Minister has no actual knowledge of the transaction and it does not exceed the lesser of one percent of the gross receipts of the corporation for the preceding year or $100,000.00. The Corporation shall not make any loan of money or property to or guarantee the obligation of any Minister; except that, however, the Corporation may advance money to a Minister for expenses reasonably anticipated to be incurred in the performance of the duties of such Minister, if in the absence of such advance, such Minister would be entitled to be reimbursed for such expenses by the Corporation. Any contract or other transaction between the Corporation and any corporation, firm or association of which one or more Ministers are directors, owners, or agents requires a consensus vote. Nothing in this Article 9 shall be construed to derogate in any way from the absolute duty of loyalty that every Director and Officer owes to the Corporation. Furthermore, nothing in this Article 9 shall be construed to override or amend the provisions of Article 10. All conflicts between the two articles shall be resolved in favor of Article 10.
includes, without limitation, all attorneys’ fees, costs, and any other expenses reasonably incurred in the defense of any claims or proceedings against an Agent by reason of his position or relationship as Agent and all attorneys’ fees, costs, and other expenses reasonably incurred in establishing a right to indemnification under this Article 10. To the extent that an Agent has been successful on the merits in the defense of any proceeding referred to in this Article 10, or in the defense of any claim, issue, or matter therein, the Agent shall be indemnified against expenses actually and reasonably incurred by the Agent in connection with the claim. If an Agent either settles any proceeding referred to in this Article 10, or any claim, issue, or matter therein, or sustains a judgment rendered against him, then the provisions of Section 10.3 through Section 10.6 shall determine whether the Agent is entitled to indemnification. Subject to the required findings to be made pursuant to Section 10.3.2, the Corporation may indemnify any person who was or is a party, or is threatened to be made a party, to any Third Party proceeding, by reason of the fact that such person is or was an Agent, for all expenses, judgments, fines, settlements, and other amounts actually and reasonably incurred in connection with the proceeding. Any indemnification granted to an Agent in Section 10.3.1 above is conditioned on the following. The Ministry must determine, in the manner provided in Section 10.5, that the Agent seeking reimbursement acted in good faith, in a manner he or she reasonably believed to be in the best interest of the Corporation, and, in the case of a criminal proceeding, he or she must have had no reasonable cause to believe that his or her conduct was unlawful. The termination of any proceeding by judgment, order, settlement, conviction, or on a plea of nolo contendere or its equivalent shall not, of itself, create a presumption that the person did not act in good faith or in a manner he or she reasonably believed to be in the best interest of the Corporation or that he or she had reasonable cause to believe that his conduct was unlawful. This Section 10.4 applies to any proceeding brought (1) by or in the right of the Corporation, or (2) by an Minister, Officer, Director or person granted relator status by the Attorney General, or by the Attorney General, on the ground that the defendant Director was or is engaging in self-dealing within the meaning of section 5233 of the California Nonprofit Corporation Law, or (3) by the Attorney General or person granted relator status by the Attorney General for any breach of duty relating to assets held in charitable trust (any such proceeding is referred to in these Bylaws as a proceeding “by or on behalf of the Corporation”). Subject to the required findings to be made pursuant to Section 10.4.2, and except as provided in Sections 10.4.3 and 10.4.4, the Corporation may indemnify any person who was or is a party, or is threatened to be made a party, to any proceeding by or on behalf of the Corporation, by reason of the fact that such person is or was an Agent, for all expenses actually and reasonably incurred in connection with the defense or settlement of such action. Any indemnification granted to an Agent in Section 10.4.1 or 10.4.3 is conditioned on the following. The Ministry must determine, in the manner provided in Section 11.5, that the Agent seeking reimbursement acted in good faith, in a manner he or she believed to be in the best interest of the Corporation and with such care, including reasonable inquiry, as an ordinarily prudent person in a like position would use under similar circumstances. If any Agent settles or otherwise disposes of a threatened or pending action brought by or on behalf of the Corporation, with or without court approval, the Agent may receive indemnification for amounts paid pursuant to the terms of the settlement or other disposition pursuant to the same conditions specified in Section 10.3.2 or with approval of the Attorney General. (2) Upon application, the court in which the action was brought must determine whether, in view of all of the circumstances of the case, the Agent is fairly and reasonably entitled to indemnity for the expenses incurred. If the Agent is found to be so entitled, the court shall determine the appropriate amount of expenses to be reimbursed. (2) the court in which the proceeding is or was pending. Such determination may be made on application brought by the Corporation or the Agent or the attorney or other person rendering a defense to the Agent, whether or not the application by the Agent, attorney, or other person is opposed by the Corporation. Expenses incurred in defending any proceeding may be advanced by the Corporation before the final disposition of the proceeding on receipt of an undertaking by or on behalf of the Agent to repay the amount of the advance unless it is determined ultimately that the Agent is entitled to be indemnified as authorized in this Article 10. Also, in cases settled or otherwise disposed of without court approval, the Agent shall receive no indemnification for expenses reasonably incurred in defending against the proceeding, unless the proceeding is settled with the approval of the Attorney General. Nothing contained in this Article 10 shall affect any right to indemnification for persons other than Agents of the Corporation, or any of its subsidiaries, unless entitled by contract or otherwise. The Ministry may adopt a resolution authorizing the purchase and maintenance of insurance on behalf of any Agent, as defined in this Article 10, against any liability asserted against or incurred by any Agent in such capacity or arising out of the Agent’s status as such, whether or not the Corporation would have the power to indemnify the Agent against the liability under the provisions of this Article 10. The Corporation shall keep a minute book in written or electronic form which shall contain a record of all actions by the Ministry, including but not limited to the following: (1) the time, date and place of each meeting; (2) the names of those present at each meeting of the Ministry; (3) the minutes of all meetings; and (4) formal proposals and resulting actions of the Ministry. (5) A brief description of the amounts and circumstances of any loans, guaranties, indemnifications, or advances aggregating more than $1,000 paid during the fiscal year to any Officer or Director under Article 9 or Article 10. Every Minister shall have the absolute right at any reasonable time to inspect the books, records, documents of every kind, physical properties, and records of the Corporation and each of its subsidiaries. The inspection may be made in person or by the Minister’s agent or attorney. The right of inspection includes the right to copy and make extracts of documents. The Ministry, except as otherwise provided in these Bylaws, may by consensus authorize any Minister or agent of the Corporation to enter into any contract or execute and deliver any instrument in the name of and on behalf of the Corporation, and such authority may be general or confined to specific instances. The grant of such authority by consensus of the Ministry shall be deemed to have been ratified and authorized by the Board. Unless so authorized, no Minister, agent, or employee shall have any power or authority to bind the Corporation by any contract or engagement or to pledge its credit or to render it liable monetarily for any purpose or in any amount. Except as otherwise specifically determined by consensus of the Ministry, or as otherwise required by law, checks, drafts, promissory notes, orders for the payment of money, and other evidence of indebtedness of the Corporation shall be authorized by two Ministers. All funds of the Corporation shall be deposited from time to time to the credit of the Corporation in such banks, trust companies, or other depositories as the Ministry may select. The Ministry may accept on behalf of the Corporation any contribution, gift, bequest, or device for the charitable or public purposes of the Corporation. Unless the context requires otherwise, the general provisions, rules of construction, and definitions of the California Nonprofit Corporation Law shall govern the construction of these Bylaws. Without limiting the generality of the above, the masculine gender includes the feminine and neuter, the singular number includes the plural, the plural number includes the singular, and the term “person” includes both the Corporation and a natural person. All references to statutes, regulations and laws shall include any future statutes, regulations and laws that replace those referenced. (1) Where any provision of these Bylaws requires the vote of a larger proportion of the Directors than otherwise is required by law, such provision may not be altered, amended or repealed except by the vote of such greater number. (2) No amendment may extend the term of a Director beyond that for which such Director was elected. (3) If bylaws are adopted, amended or repealed at a meeting of the Ministry, such action is authorized only at a duly called and held meeting for which written notice of such meeting, setting forth the proposed bylaw revisions with explanations therefore, is given in accordance with these Bylaws, unless such notice is waived in accordance with these Bylaws.